Public Service Announcement for Married Couples Everywhere! Your spouse can’t read your mind. Silent desires are hard to meet. Unrealistic expectations can plague our hearts on Valentine’s Day and choke out sweet love throughout the whole year too. Do you have secret hopes that your husband will show up with two dozen long stem roses, luscious hand-dipped strawberries in silky chocolate, and a handwritten card that expresses his sincerest appreciation and deepest attraction for you? Movies, ads, and that one guy on Facebook (who actually does this kind of stuff for his wife) have set the bar so high that we end up disappointed when February 14th doesn’t deliver a candy-coated fairy tale. 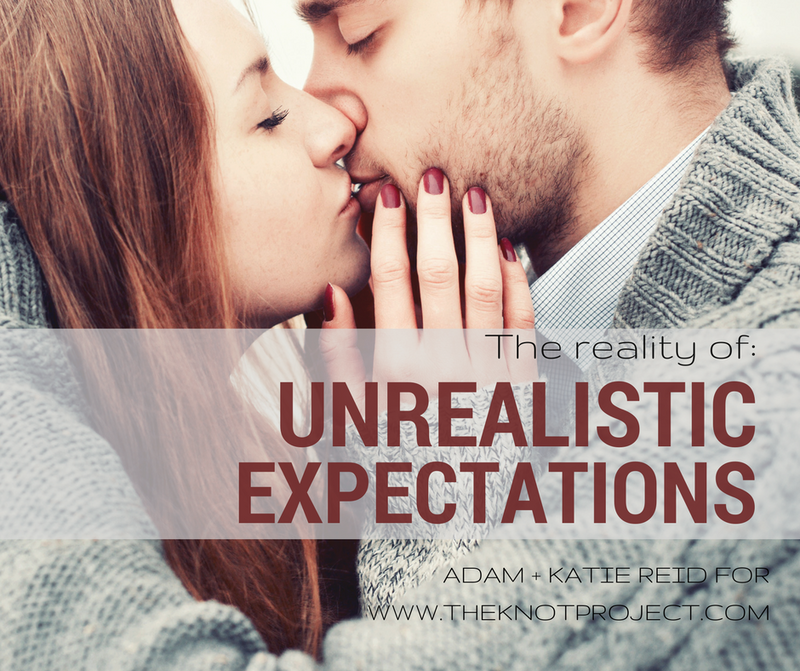 Adam and I talked about unrealistic expectations the other day on the Knot Project’s Facebook Page. When I got married, I brought starry eyes and sky-high ideals into our relationship. As a Christian couple, I expected that we’d get up in the morning, do a devotional together and pray, while holding hands. P.S. I expected my husband to lead this spiritual ritual. I also expected that he would do X, Y, and Z because isn’t that what marital bliss is all about (having my needs and wants met by a dashing man for the rest of my life)? As you can see, I needed a reality check. I was baffled that my husband couldn’t read my mind, especially when it came to the gift giving department. We were in sync about many things, so I was surprised when he didn’t automatically know my hopes surrounding Valentine’s Day, birthdays, date nights, etc. Over the past fifteen years, Adam and I have learned how to communicate better, rather than assume what the other person is thinking, needing, or wanting. It might see unromantic, but instead of silently hoping my husband brings me flowers, I might suggest, “Hey Honey, I’d love flowers sometime this week.” Adam appreciates this, because although he loves me, he isn’t always thinking about flowers. When he knows the expectation, a lot of times he can easily meet it. It is difficult to meet an expectation that has not been expressed. In the same breath, it is hard to express expectations when you aren’t sure how they will be perceived or received. P.S. We hope you have a fantastic Valentine’s Day! Share an encouraging word by adding a blog post to the #RaRalinkup over on Purposeful Faith.